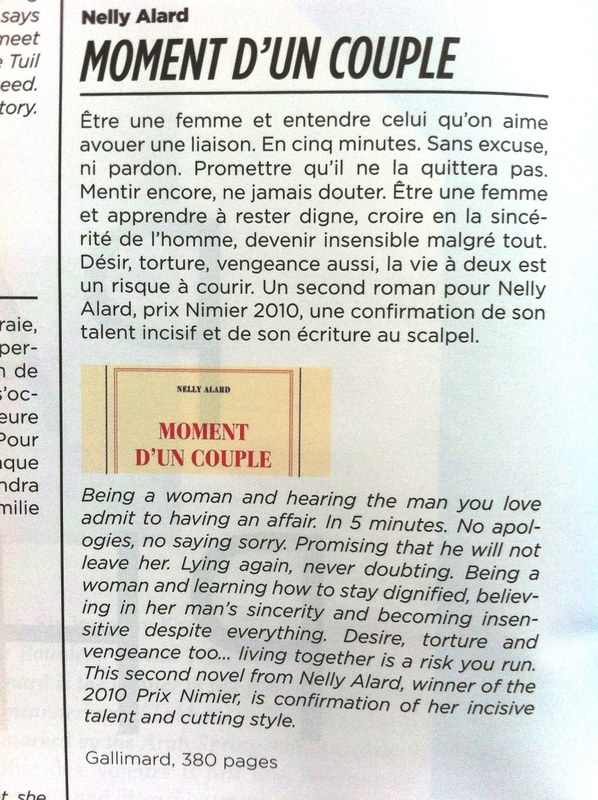 " A disturbing and intelligent reflection on love today. 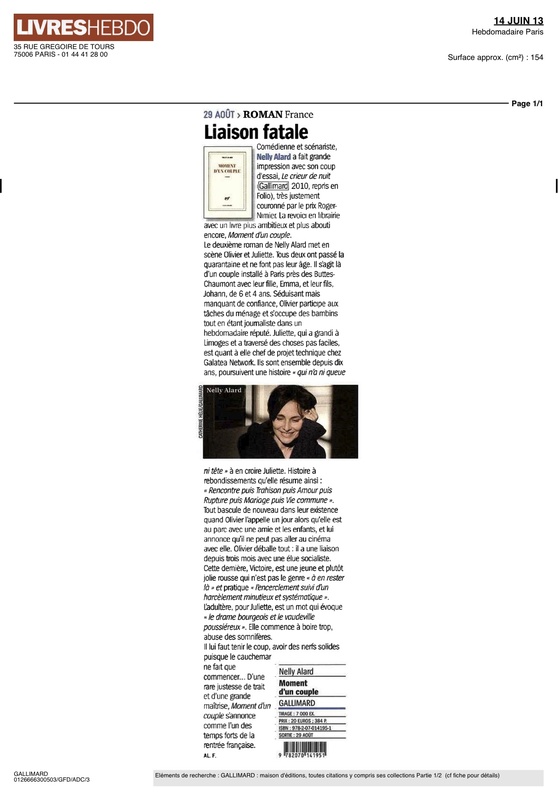 One of the best novels of the season." 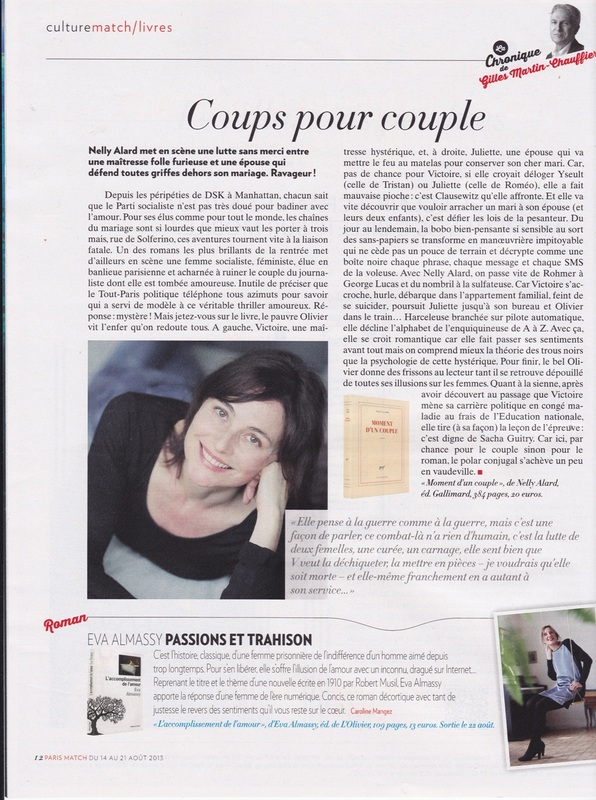 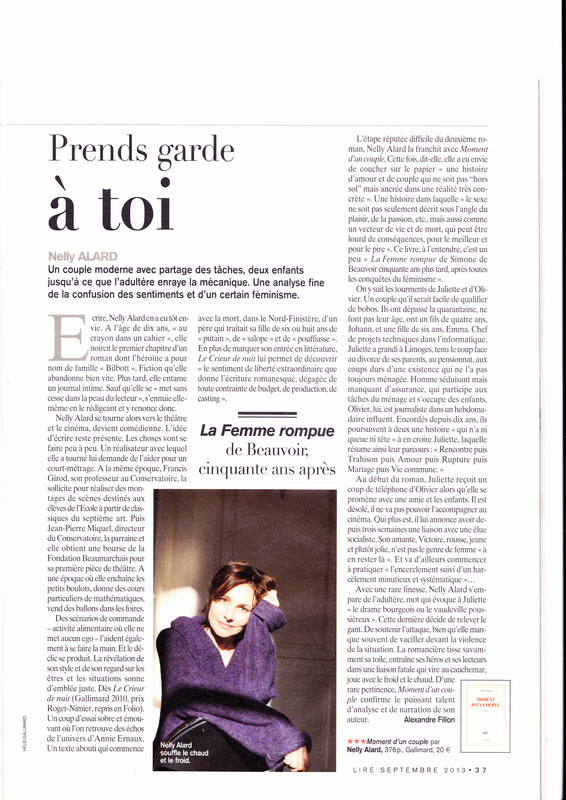 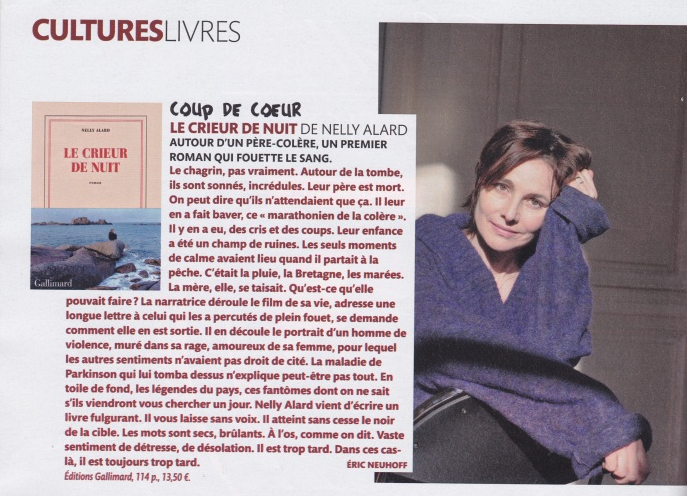 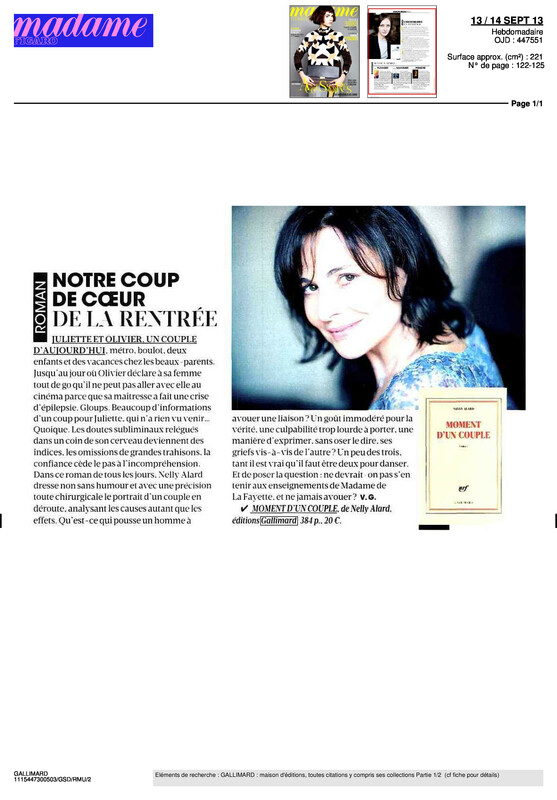 "There is nothing sappy about Moment d’un couple : it is a tragic story imbued with undeniable resonance by Nelly Alard’s powerful and masterful language. 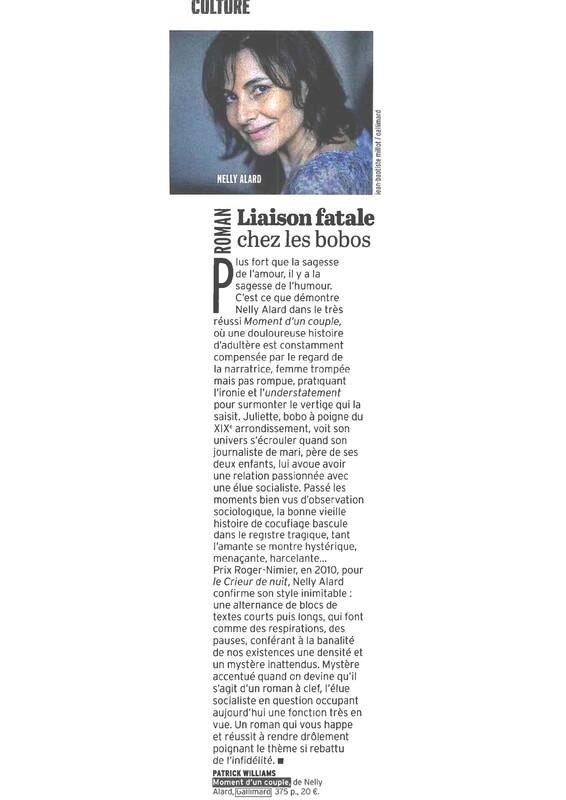 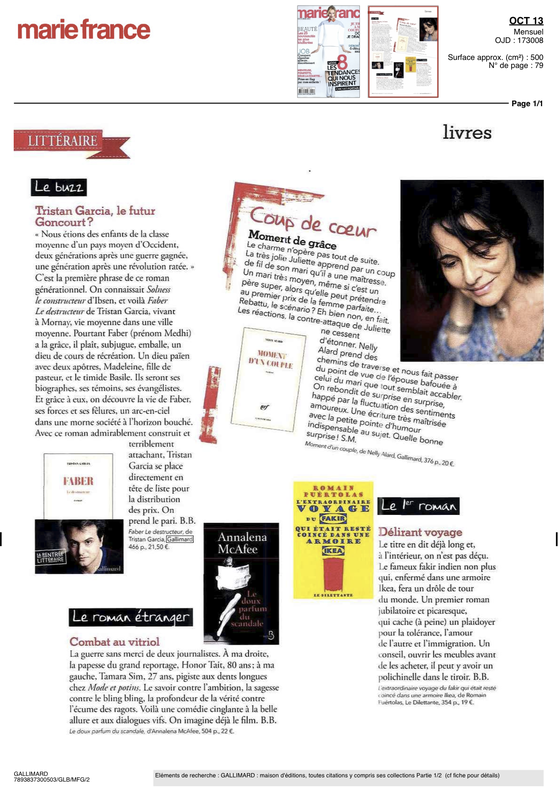 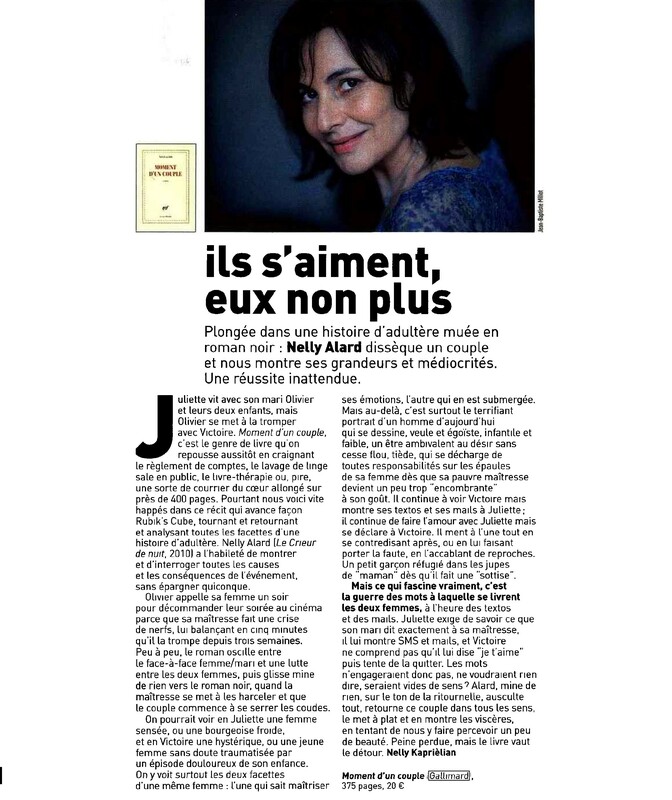 France may very well fall in love with Juliette: find out August 29th when the book appears in stores.” "